The government has cancelled the second round of auction for road monetisation after companies offered low bids. The Union government had offered eight stretches of highways under the toll-operate-transfer (TOT) model in August 2018. Bids were opened in December 2018 where Cube Highways emerged the winner by quoting Rs 4,612 crore, way below the base price of Rs 5,362 crore set by the National Highways Authority of India (NHAI). The investment appetite between the two TOT auctions suffered, with 12 banks under lending restrictions imposed by the Reserve Bank of India's (RBI’s) Prompt and Corrective Action. Besides, IL&FS and its group companies defaulted on repayments of their debt, creating a liquidity problem in the system. “These developments increased the cost of debt for highway developers and lowered their risk appetite,” a road sector expert said, citing this as the reason for lower bids. An infrastructure project is funded at a debt-equity ratio of 70:30 but companies could not arrange for more than 50 per cent in loan, said an expert. According to sources, Cube Highways quoted a price of Rs 4,612 crore, Adani Infrastructure (Rs 3,675 crore) and IRB Infrastructure (Rs 2,718 crore) were the other bidders for the eight road stretches offered under the second round of TOT auctions. These stretches cover national highways in Rajasthan, Gujarat, Bihar and West Bengal. The length of the project is 586.55 km and there are 12 toll plazas on these stretches. The second bundle also involves an initial construction cost of Rs 929 crore and the total contract period is of 30 years, which may increase or decrease by 5 or 10 years, based on traffic. The first TOT bundle received bids 1.5 times more than the base price set by the NHAI, and the contract was bagged by Macquarie at Rs 9,681 crore. The TOT model in India has been developed to encourage private participation in the highways sector. Under it, the concessionaire pays a one-time concession fee upfront (lump sum), which then enables the concessionaire to operate and toll the project stretch for the pre-determined 30-year concession period. On August 3, 2016, the Union Cabinet authorised the NHAI to monetise public-funded national highway projects that are operational and are generating toll revenues for at least two years after the commercial operations date through the TOT model. About 75 operational highways completed under public funding were initially identified for potential monetisation. 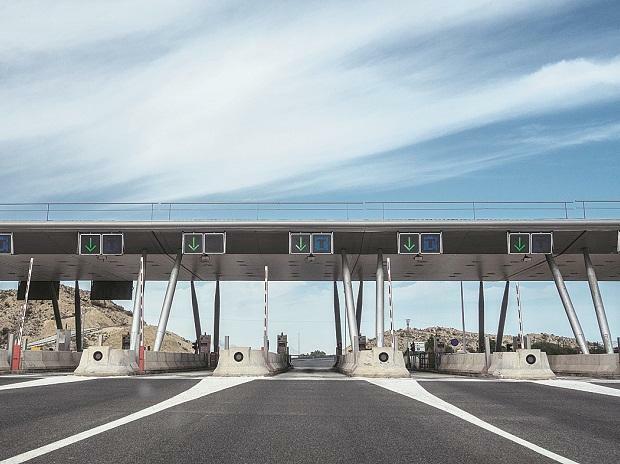 The central government felt monetisation of public-funded highways would create a framework for attracting long-term institutional investment on the strength of future toll receivables. It was felt that international investors generally hesitated from taking construction risk, but were willing to look at de-risked Brownfield road assets.